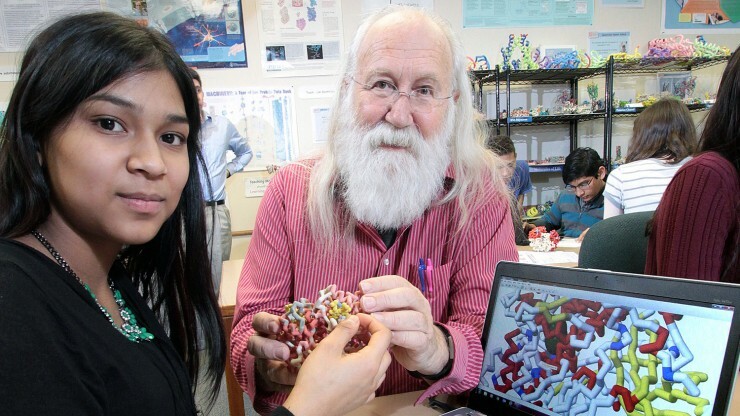 The Center for BioMolecular Modeling (CBM) at MSOE creates unique physical models of molecular structures using rapid prototyping technologies. The center works with research scientists to create custom models of the proteins whose structures they are investigating. The center is unique in the world, bringing together the disciplines of engineering, structural biology and computer visualization. The CBM was spun off of MSOE’s Rapid Prototyping Center in 1999. Created as an instructional materials development laboratory, the core mission of the CBM is to create accurate physical models of molecular structures for use in science classrooms. The science education outreach programs of the CBM are supported by grants from the NIH SEPA program, the NSF CCLI program, the Howard Hughes Medical Institute and the U.S. Department of Education. For information about upcoming events, visit the CBM calendar.